Heinrich Hoffmann, cover of Hitler Away from It All (Hitler abseits vom Alltag), 1937. 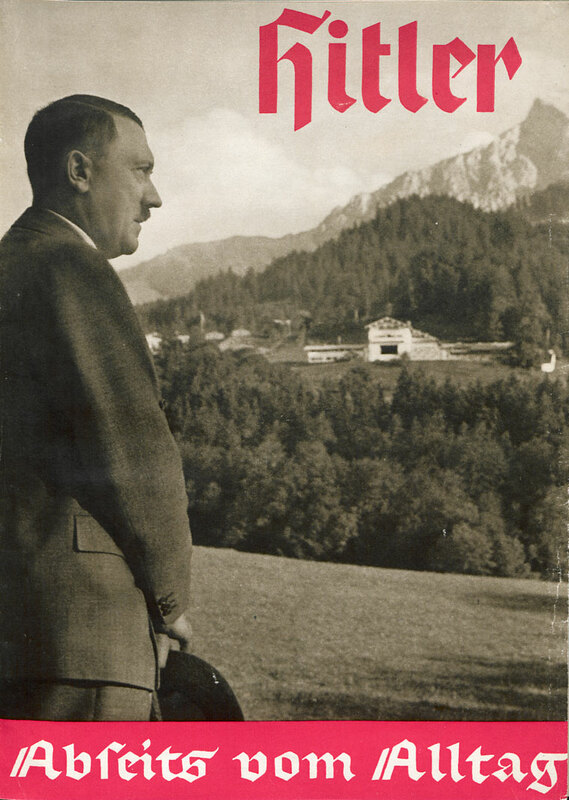 Hitler at Home examines the aesthetic and ideological construction of Hitler's domesticity, focusing on his two private residences in Bavaria: the Berghof on the Obersalzberg and his Munich apartment at Prinzregentenplatz 16. Through the architectural and media creation of these places, the Nazi regime fostered the myth of the private Hitler as peaceable homebody and good neighbor, an image used strategically and effectively within Germany and abroad to distance the Fuehrer from Europe's violence. Moreover, this image helped to dispel any suspicions raised by the Fuehrer's bachelor status that may have threatened the Nazi cult of domesticity. Largely ignored by historians as politically or architecturally insignificant, the fabrication of Hitler's private spaces reveals how the occupant imagined his interiority, how he positioned this self in relation to his public identity, and how intricately and expertly artists and propagandists of the regime interwove these facets into a seductive whole. Despina Stratigakos is associate professor and interim chair of architecture at the University at Buffalo. She is the author of A Women's Berlin: Building the Modern City (2008), winner of the German Studies Association Book Prize and the Milka Bliznakov Prize. She has published widely on issues of diversity in architecture and, in 2011, collaborated with Mattel to create Architect Barbie to introduce girls to the design professions. She is a trustee of the Beverly Willis Architecture Foundation, a founding member of the Architecture and Design Academy in the Buffalo Public Schools, and has served as deputy director of the University at Buffalo's Gender Institute, a director of the Society of Architectural Historians, and an advisor of the International Archive of Women in Architecture. Stratigakos received her PhD from Bryn Mawr College and taught at Harvard University and the University of Michigan, before joining the University at Buffalo's faculty.